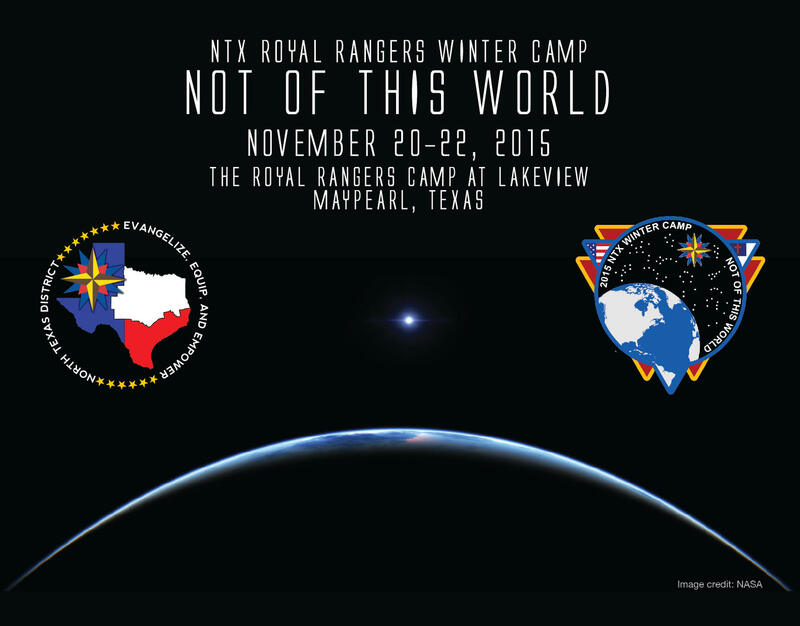 The theme for the 2015 Winter Camp for the North Texas Royal Rangers was Not of This World, based on the fact that for Christians, this world is not our home. It is also a nod to sci-fi and aliens, hence the use of the space-theme in the artwork for the event. For inspiration, I used a picture of NASA, showing earth and the sun in the far distance as the background. 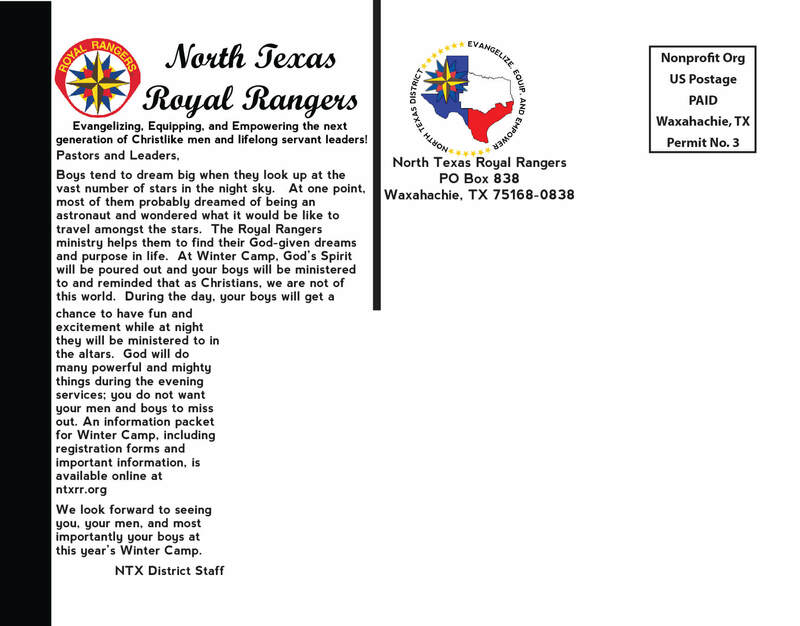 In the foreground, there is the event information using a typeface inspired by typeface used for movie poster for the 1986 movie Aliens and the artwork for the event patch.